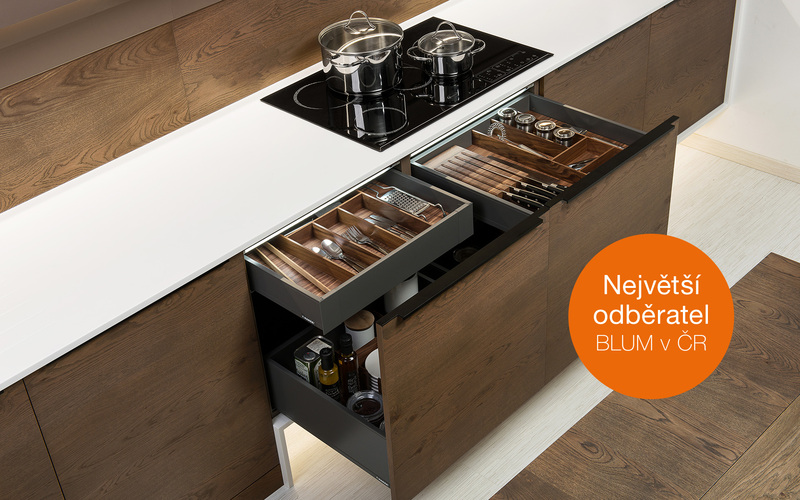 Legrabox can be combined with electric SERVO-DRIVE opening. Handless furniture can be opened with a light touch on the faceboard. BLUMOTION makes closing operation smooth and quiet. 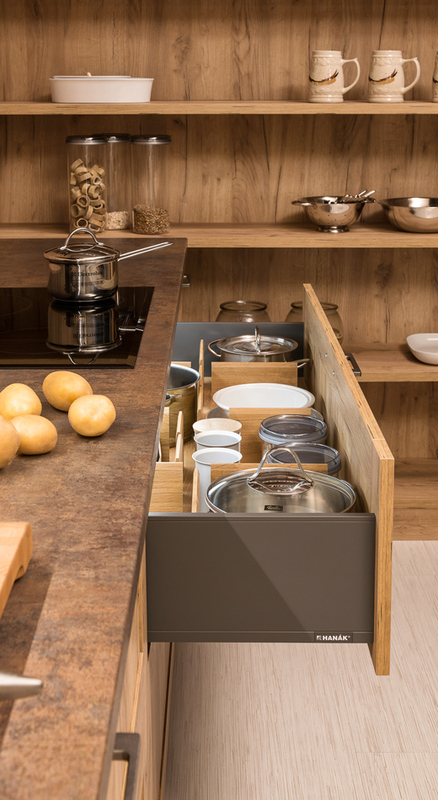 If a customer wants to have the model with handles, it is possible to fit a LEGRABOX carcase rail with an integrated TIP-ON technology. High faceboards are popular decorative elements. 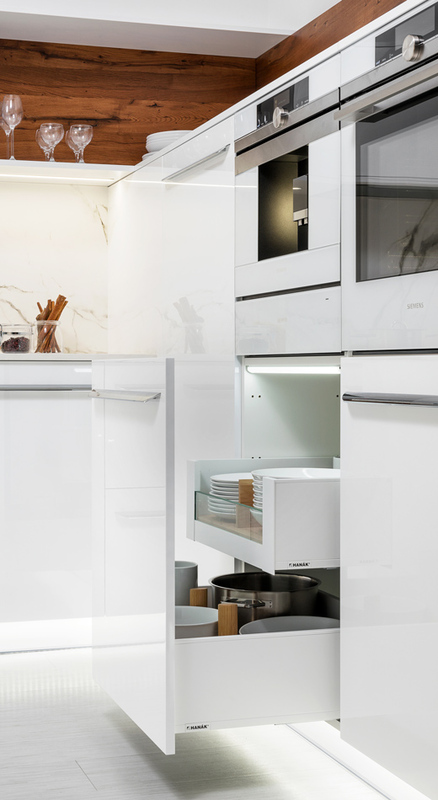 LEGRABOX corresponds to the current design trend in new front hinges that ensure maximum stability during opening and closing action. 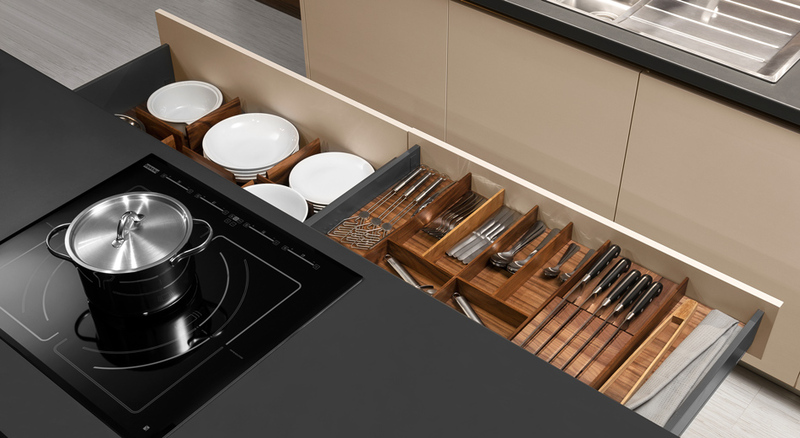 The inner dividing system AMBIA-LINE is typical of its slim, minimalist and simple design and diverse setting options. 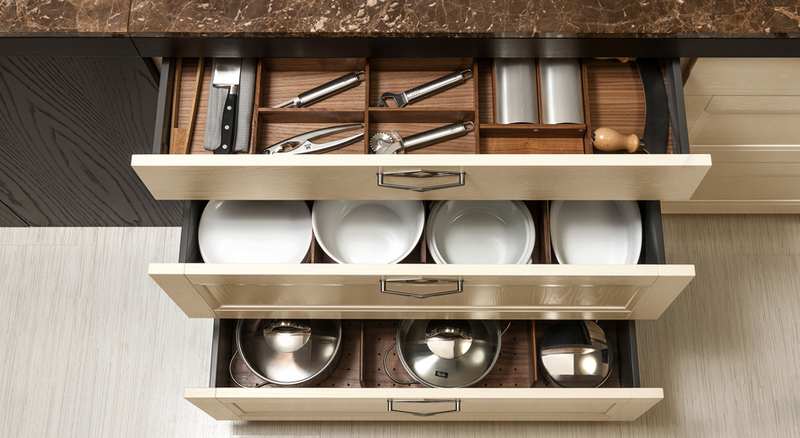 The frames can be used universally and their design matches perfectly to the LEGRABOX system.